Liu Xiaobio was awarded the 2010 Nobel Peace Prize "for his long and non-violent struggle for fundamental human rights in China." The aura around me is enough already. I hope the world can pay more attention to other victims who are not well known, or not known at all. 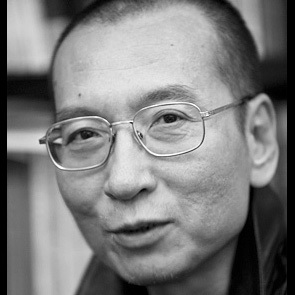 Liu Xiaobo, a prominent independent intellectual in China, is a long-time advocate of political reform and human rights in China and an outspoken critic of the Chinese communist regime; Liu has been detained, put under house arrest and imprisoned many times for his writing and activism. According to his lawyers’ defence statement in his 2009 trial, Liu has written nearly 800 essays, 499 of them since 2005. Liu is a drafter and a key proponent of Charter 08. Liu Xiaobo was awarded the 2010 Nobel Peace Prize, which he was unable to accept in person due to his imprisonment.